This jacket was loaned to me for photos by a friend. His father bought it just after the close of WWII and wore it for riding motorcycles for years. 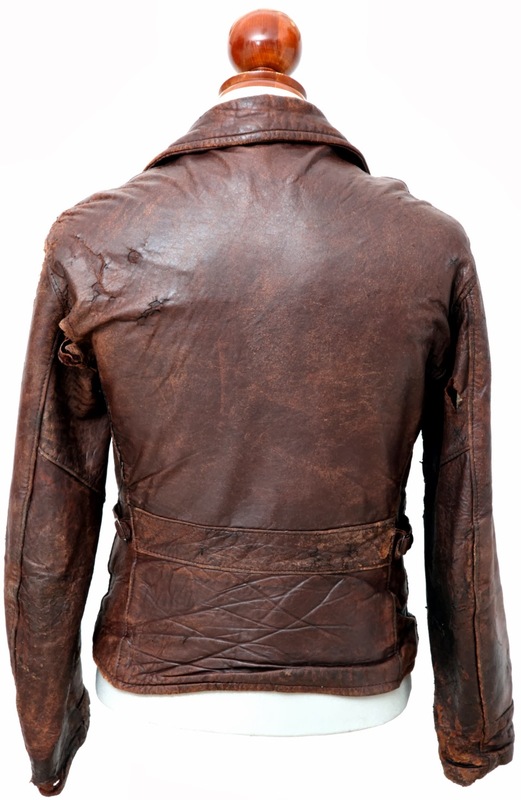 It is capeskin leather, with a simple half-belt back. The pocket arrangement, with hand-warmer pockets and a breast pocket is also simple for this type of design. Many manufacturers fell into the game of "how many zipper pockets can we put on the front of this thing?". Although it looks in the photos like the jacket has epaulettes, that's just the shoulder stitching going bad. The zipper is a transitional brass Talon, consistent with the immediately post-war dating, with a small-hole slider and a U shaped Talon marked stopbox. 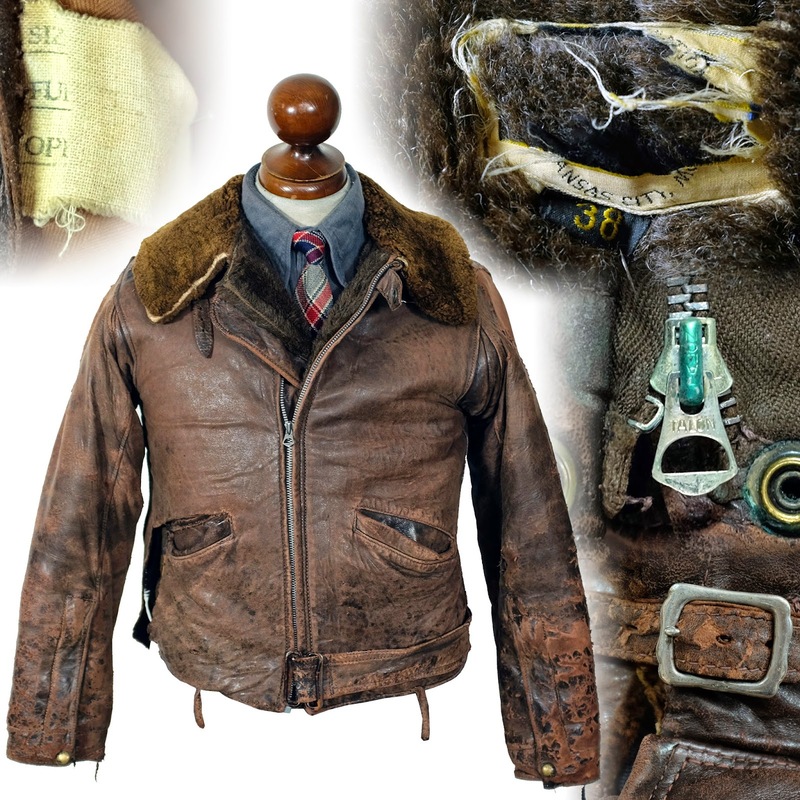 The jacket's tag is long since missing, and no one can remember what it was. 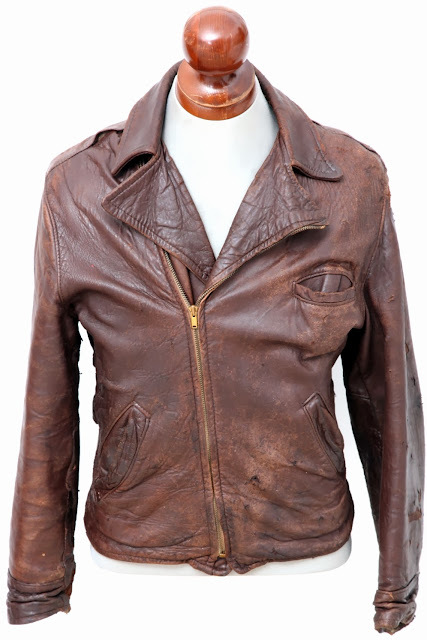 The jacket has a plaid cotton lining, but the plaid in the body and in the sleeves is mis-matched.